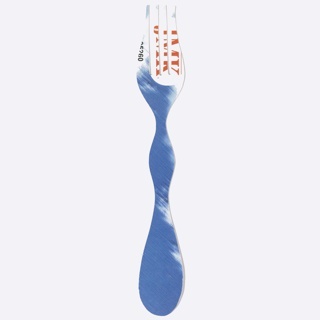 See more objects with the tag profile, sketch, cutlery, consumers, forks, knives. This is a Drawing. It was designed by Gerald Gulotta. It is dated 1989–90 and we acquired it in 2009. Its medium is graphite, ballpoint pen and red, black ink on paper. It is a part of the Drawings, Prints, and Graphic Design department. 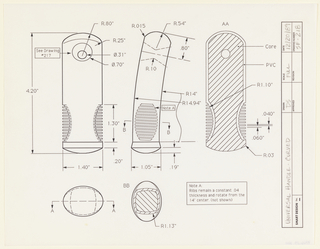 In this preparatory drawing, filled with a variety of sketches, the industrial designer Gerald Gulotta explores the idea of twisting a knife’s blade and handle and also explores the concept with several designs for forks. Gulotta became an established freelance designer of ceramics, glassware, and cutlery during the 1960s and 70s. His sleek, slender, and elegant tabletop designs look as contemporary today as they did at the height of his career. At the time of proposed acquisition, the museum hold sheets of Gulotta’s designs for ceramics, glassware, and silver, many of which relate to three-dimensional objects in the museum’s collection. While the museum holds examples of Gulotta flatware patterns (including Axis, Chromatics, España, Eros, Iona, and Rondure), this drawing, part of a larger group of drawings proposed for acquisition, would be among the first works on paper connected to Gulotta flatware in the museum’s collection. 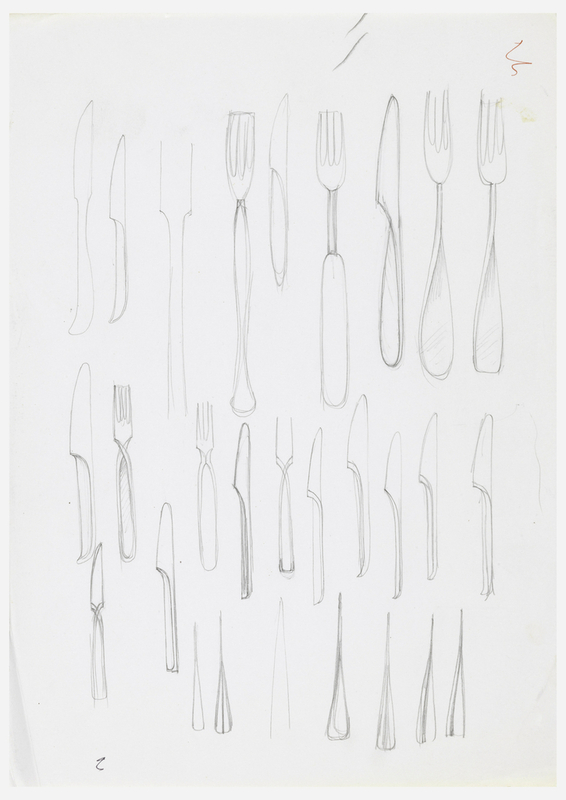 Seen together with the related patterns in the collection, these drawings are invaluable documents for understanding Gulotta’s working process for designing cutlery. This object was featured in our Object of the Day series in a post titled A glimpse into Gerald Gulotta's design process. glossy heavy printed paper; verso: graphite; cut.